Professional development workshops for teachers and early childhood educators interested in outdoor learning and play for students. 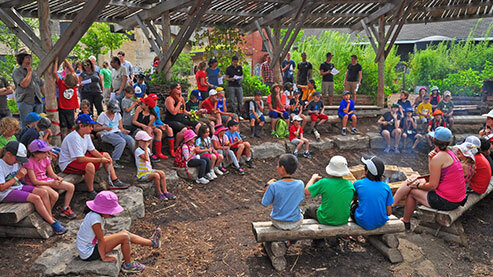 Join us at Evergreen Brick Works for a creative and curriculum-connected outdoor experience, learning how to incorporate nature-focused and experiential approaches into your school, classroom or childcare centre. At our workshops you will experience inquiry and play-based activities that are easy to implement, and will inspire you to get outside with children and youth! 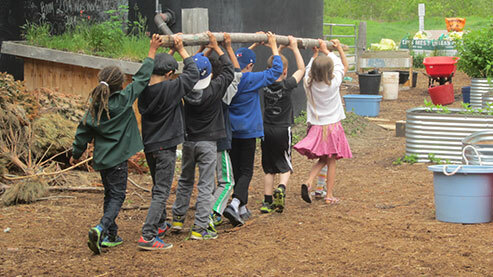 You will learn about the benefits of outdoor learning, including enhancing physical and mental health, resiliency and social skills, and how these approaches directly support the Ontario Curriculum and key policy documents. Your day spent in our innovative Outdoor Learning Labs will enrich your relationships with children, and support student, teacher, early childhood educator and family well-being, and includes a certificate and resource guide. Download our workshop flyer to post in your school or share with your colleagues and friends! Also, make sure to register for our Outdoor Classroom newsletter for classroom resources, workshops and more. 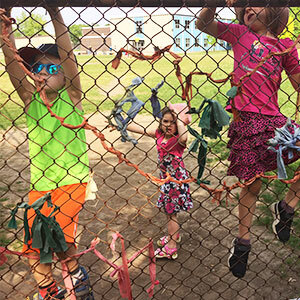 Dive into ‘loose parts play,’ nature games, and storytelling that you can use right away. 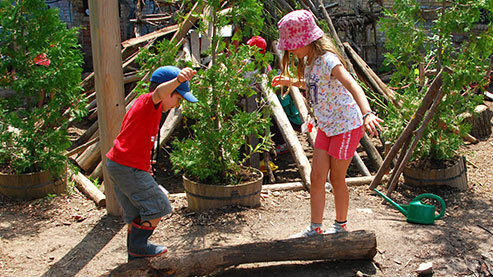 Explore creative and cost-effective approaches to setting up your outdoor nature play space. We can help you make it happen! Explore how story-telling and games connect children to nature. Reflect on your experiences, and learn approaches and language that will help you build support for your outdoor practice with fellow educators and parents. Get ready to go deep in assessing the benefits of risk in the outdoors and how to build adventure into your day. Learn how to use tools with children, and how you can incorporate risk benefit assessment into daily routines. Workshops are held at Evergreen Brick Works in Toronto, Ontario. See how to get here. The price per attendee is $120 (+HST) for individual workshops, or $320 (+HST) for all three workshops (use promotional code 3SESSION when registering). Upon completion of the three workshops you will receive a Play and Learning in the Outdoors certificate and an invitation to a special Evergreen celebration. All workshops include a light lunch. Note: Please come prepared for the weather as we will be outside until lunch. We require 10 days cancellation notice prior to your scheduled workshop date. If you cancel within that time limit you will be charged $25, which is required to cover our administration costs. If you are interested in having a professional learning opportunity delivered at another location or event, please contact Paula Gallo at pgallo@evergreen.ca or 416-596-1495 x253.